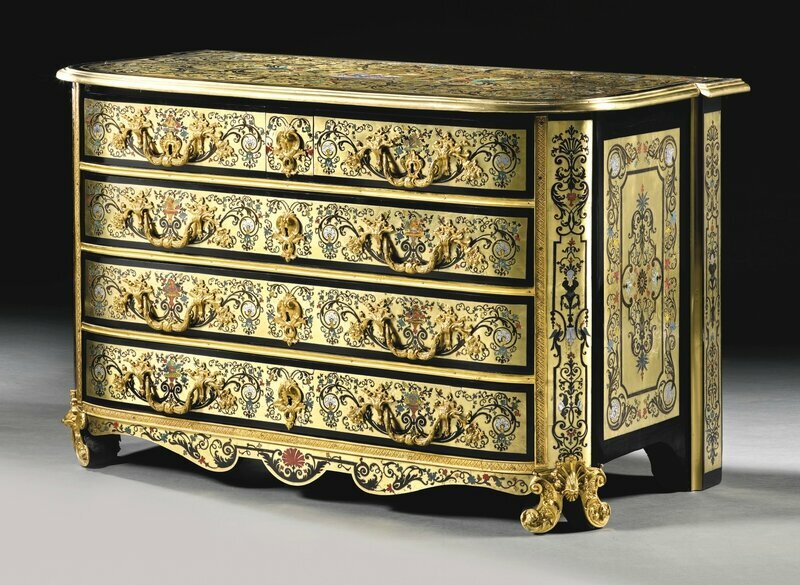 Joseph Gad. 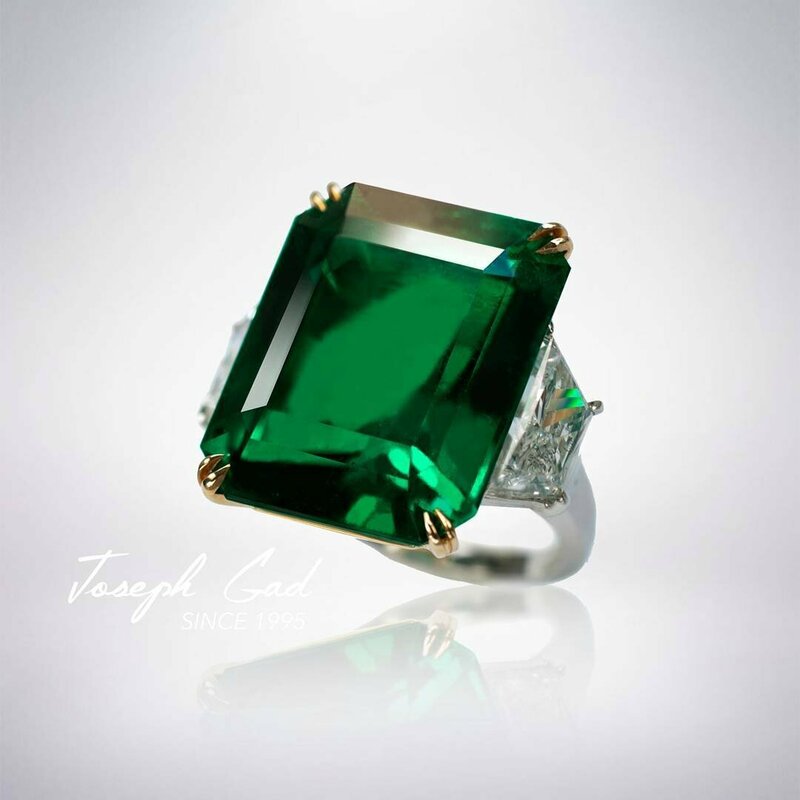 An Impressive 18ct Minor Oil Colombian Emerald Cut And Diamond Ring. Joseph Gad. 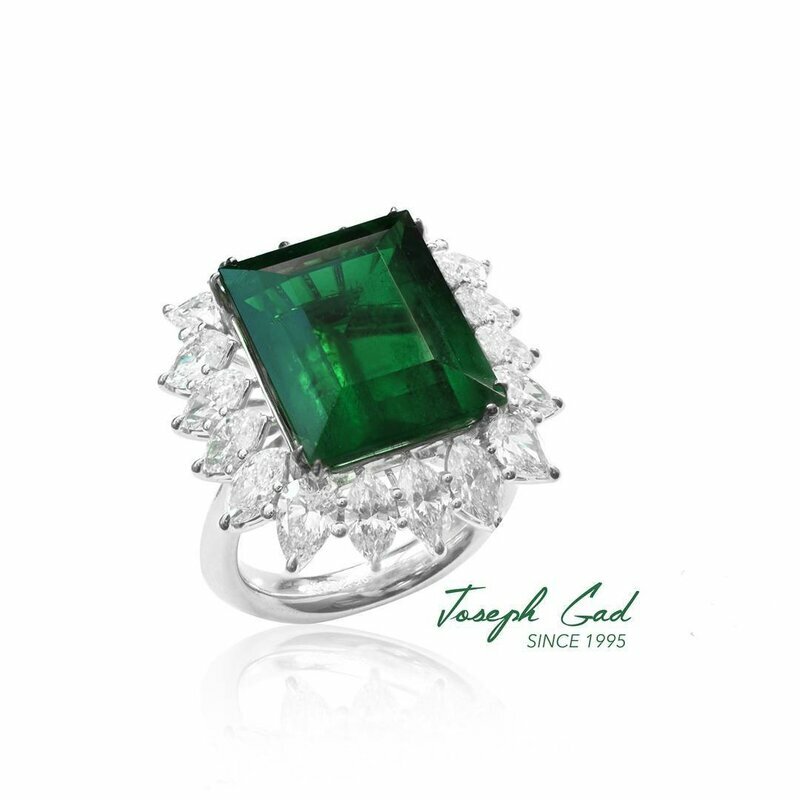 A Unique 25ct Minor Oil Emerald Sugarloaf Ring. Joseph Gad. 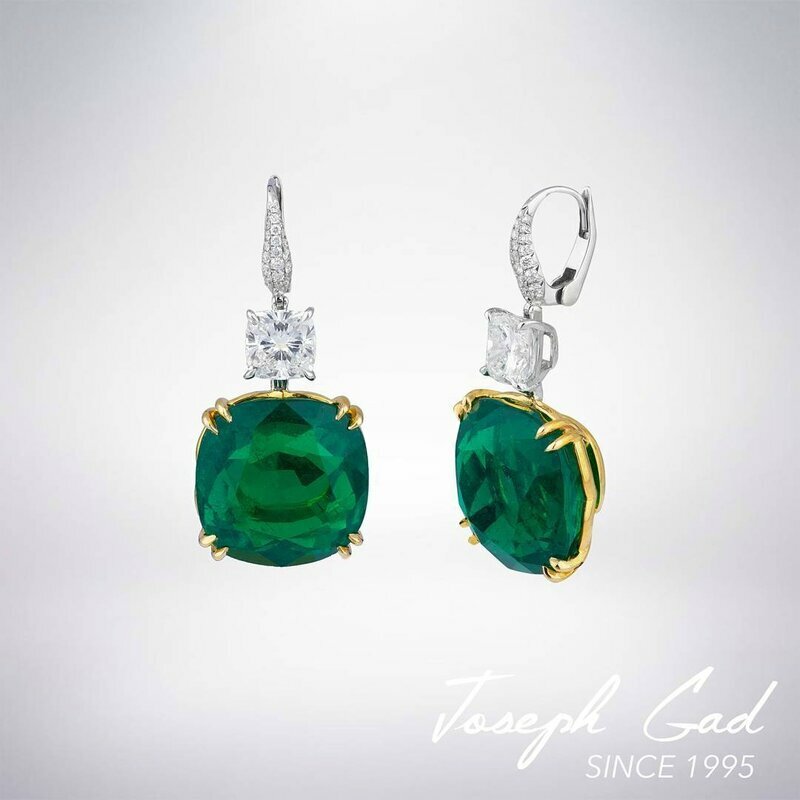 A Stunning Pair of 34ct Minor Oil Cabochon Colombian Earrings. Joseph Gad. A Massive 63ct Minor Oil Colombian Emerald Ring. Joseph Gad. 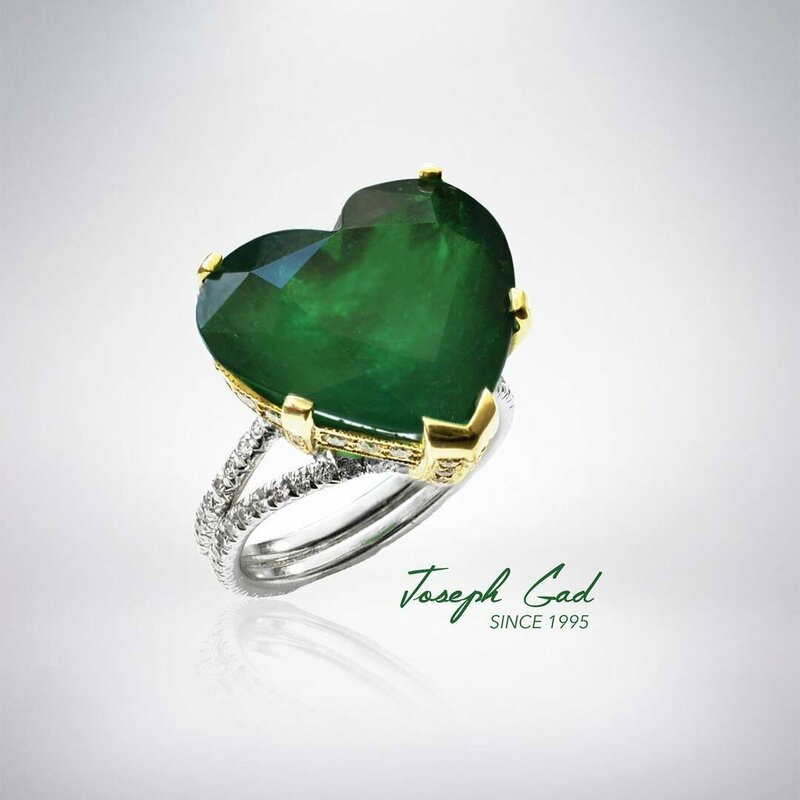 An Amazing 16ct Heart Shaped Minor Oil Colombian Emerald Ring. Joseph Gad. 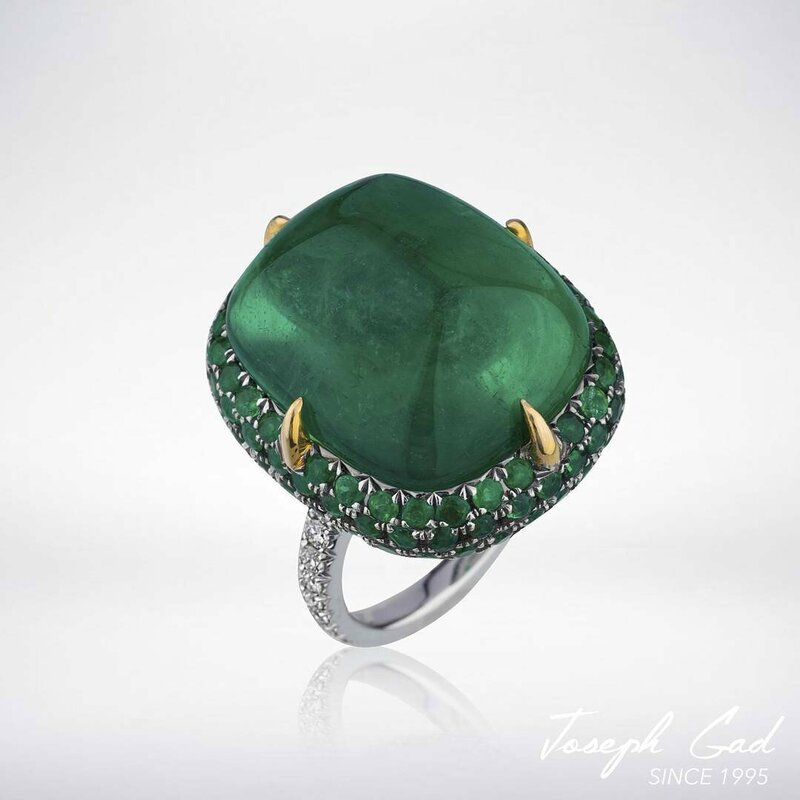 A Remarkable 11ct Minor Oil Colombian Emerald and Diamond Ring. Joseph Gad. 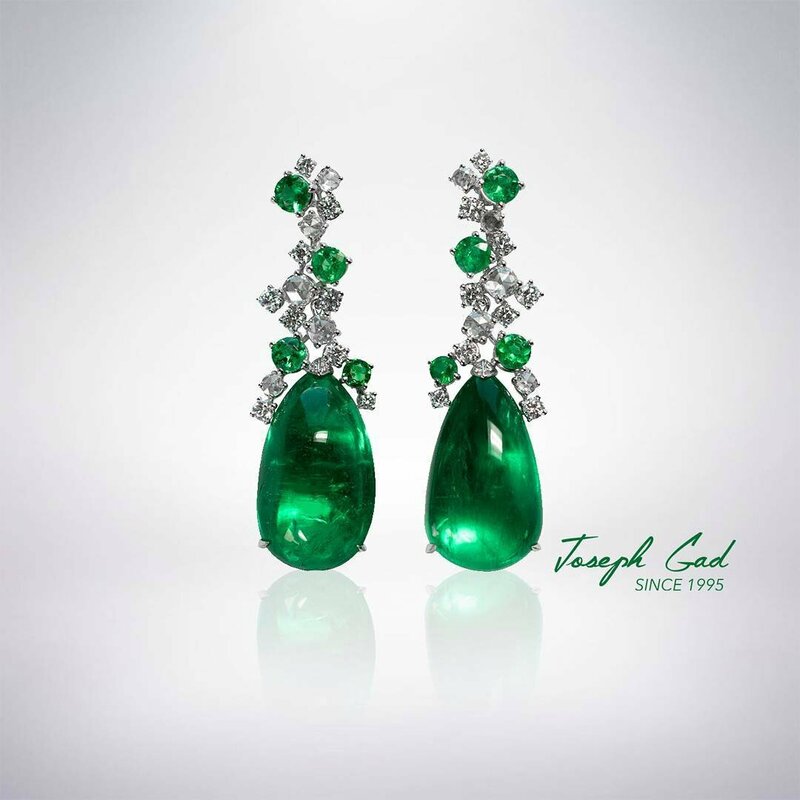 An Incredible Pair of 52ct Minor Oil Colombian Emerald Earrings. 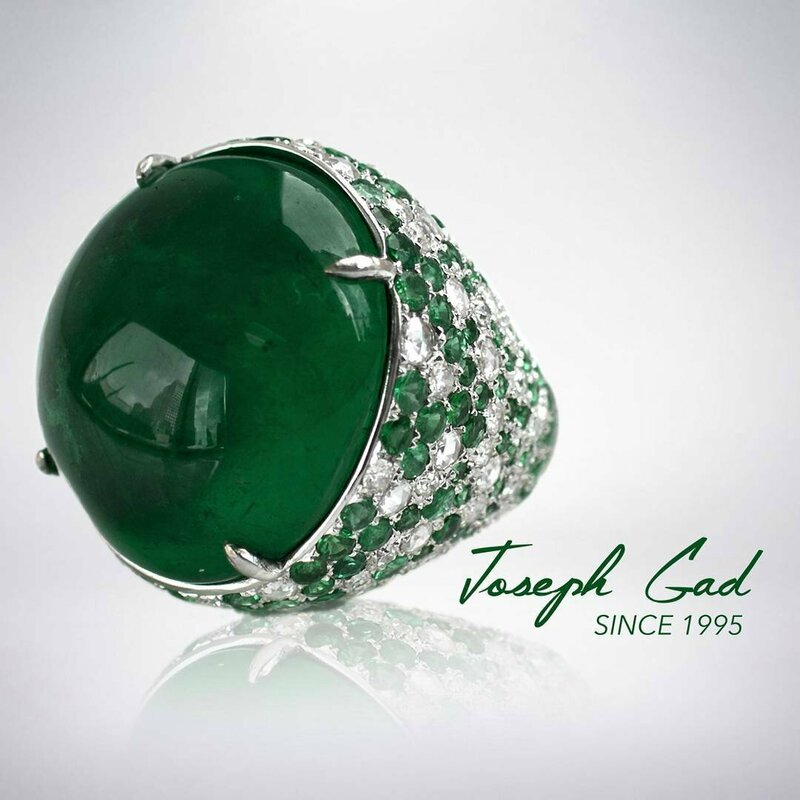 Joseph Gad. 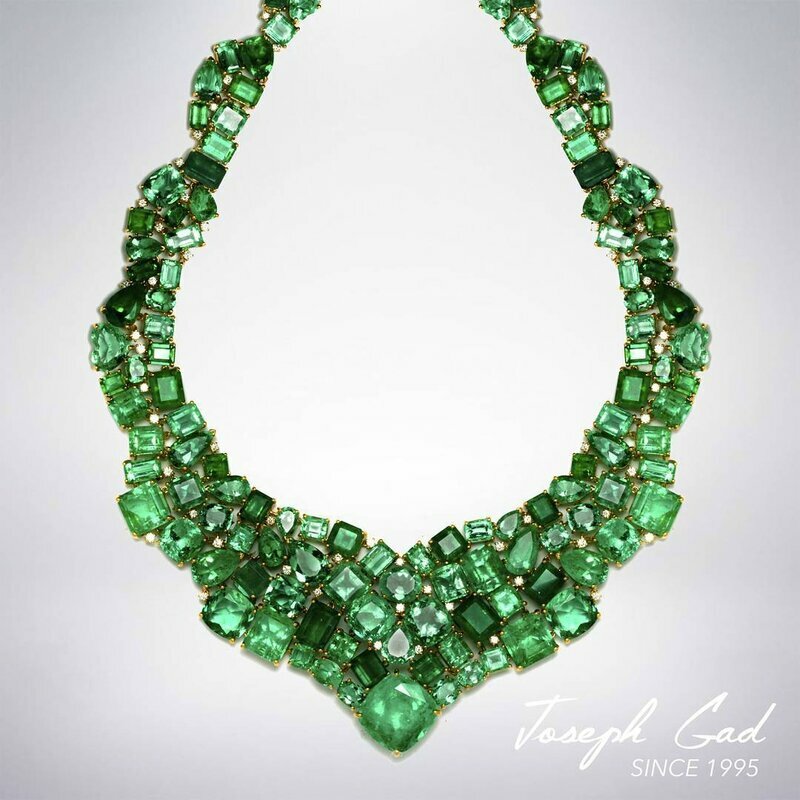 An Exqusite Minor Oil Colombian Emerald Necklace.